A research project (2015) into indigenous interactive experience for Samoan cultural heritage. Undertaken in partial requirements for the Masters of Creative Technologies at the Auckland University of Technology. The campaign’s intention was to connect Samoan youth today with their cultural heritage and introduce the culture to non-Samoan audiences by mode of interaction employing critical transmedia concepts of participation and engagement. 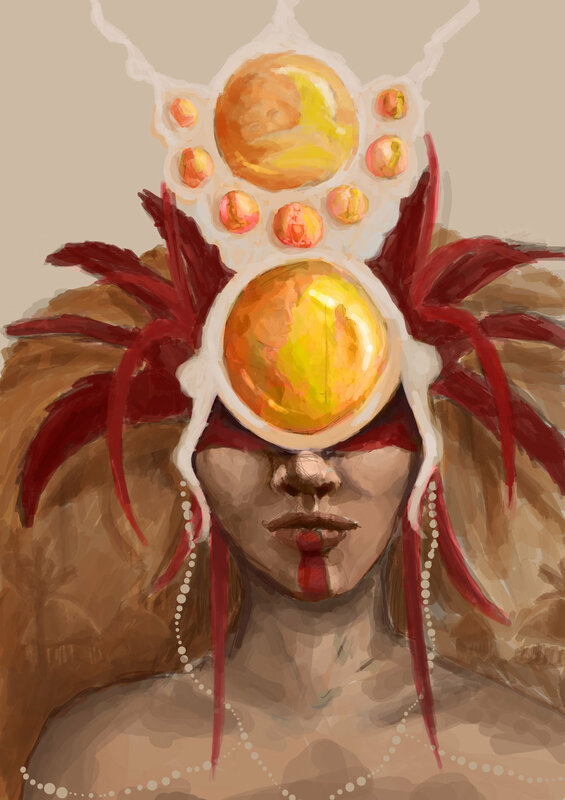 Enlisting social media and other digital narrative services such as Inkle, the project explored new expressions and impressions of Samoan indigeneity and stories within a gaming context. Undertaken through the Masters of Creative Technologies at the Auckland University of Technology, this research theorises that fāgogo, an indigenous Samoan form of storytelling, was and remains an instrumental tool for self-expression, self-determination, and a way home in the diaspora. Investigating how we can take this online into the 21st century, this research sought to blend the strengths of indigenous Samoan storytelling principles with digital storytelling designed for participation. During the course of this research, I soundboarded ideas through a Tumblr workbook. The complete thesis is now available online here through AUT’s Scholarly Commons database. Tielu, A. J. (2018). Searching for the Digital Fāgogo: A Study of Indigenous Samoan Storytelling in Contemporary Aotearoa Digital Media. Seminar presented at the Pasifika Australia Toktok Conference. Australian National University, Canberra, Australia. Tielu, A. J. (2017). Searching for the Digital Fāgogo: A Study of Indigenous Samoan Storytelling in Contemporary Aotearoa Digital Media. Seminar presented at the Colab Postgraduate Showcase. Auckland University of Technology, Auckland, New Zealand. Tielu, A. J. (2016). Searching for the Digital Fāgogo: A Study of Indigenous Samoan Storytelling in Contemporary Aotearoa Digital Media. Seminar presented at the Talanoa Videoteleconference Series. Auckland University of Technology, Auckland, New Zealand. Tielu, A. J. (2016). Searching for the Digital Fāgogo: A Study of Indigenous Samoan Storytelling in Contemporary New Zealand Digital Media and its Role in Identity Formation. Seminar presented at the Centre for Samoan Studies Seminar & Film Series. National University of Samoa, Apia, Samoa. Tielu, A.J. (2015). Trans-su’ifefiloi: Augmenting Samoan Identity Through Digital Storytelling. Seminar presented at the Mobile Creativity and Innovation Network Australasia. RMIT University, Melbourne, Australia. Tielu, A.J. (2015). Fāgogo and Trans-su’ifefiloi: the Search for the Digital Fāgogo. Seminar presented at the CoLab Postgraduate Research Forum. Auckland University of Technology, Auckland, New Zealand.